The sobriety checklist will help you get started in recovery and track your progress. My hope for you is that, by the time you have completed these checklists, you will have put into place a recovery program that will provide the basis for your long-term recovery from drug or alchohol addiction. 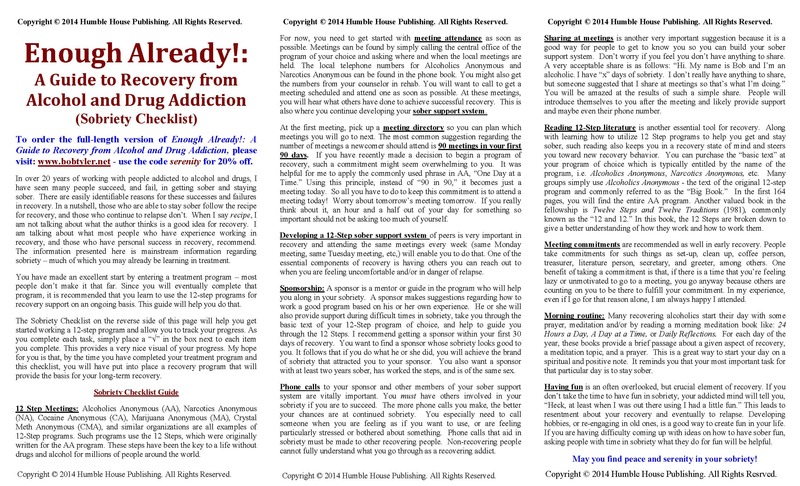 100 page Sobriety Checklist Pack.